VtWProductions: No Excuses Episode #181 - Bluh! 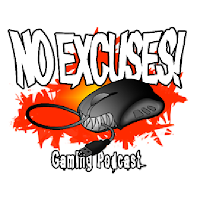 No Excuses Episode #181 - Bluh! This week: Why? Occulus reveals the average cost of a PC that can handle their VR headset, it's pricier than you may think. Wildstar makes the jump to free to play with one of the fairest models to date. Plus Fern ruins chocolate forever, angering the RNG god, horde mode and the law of belts.